Today, you’ll hardly be able to find a business without a website. The reality is almost every business has a site these days. However, having a website is not enough anymore! Web development is an ever changing industry and technologies are constantly evolving. That means that a need to update your website may arise anytime. Your business website needs to be user friendly, fully responsive and SEO optimized. Above all, you need to keep your website secure. 1 Here is a list of the top 7 reasons why your site needs to be updated. Here is a list of the top 7 reasons why your site needs to be updated. If you use Googles Chrome browser, you may have started noticing any site that is not using an SSL to encrypt its content now says “Not Secure” just before the URL. Google is starting to penalize sites that are not considered to be secure by flagging them with this message. If your site is showing this message, it might be turing customers away. It’s not a difficult issue to fix to that most web developers or IT professionals should be able to help get you set up with. Depending on the level of security in the SSL, they can cost anywhere from $9.99 – $169.99 per year. In most cases, you can typically get away with just using one of the less expensive options. Along the same lines, you should do everything possible to prevent your site from being hacked. The security of your website always has to be the number one priority for your business. That’s why it’s so important for you to update your website on a regular basis and install all the necessary security plugins. It’s worth noting that security plugins are constantly updated. Thus, you need to ensure that security plugins of the latest version are installed on your website. Having a web professional perform regular website maintenance, create website backups and check for malware and viruses can be way more cost effective than getting your site hacked, losing data and having to rebuild a new site, all while not having a site for customers to visit. If you would like a quote for scheduled website maintenance, contact us for a free estimate. You’ll not attract new clients to your business if your site’s web pages are not found in search engines. It makes a lot of sense for you to optimize a website for target keywords in the best possible way. Oftentimes, it’s enough to make small changes on a website to get significant SEO improvements. 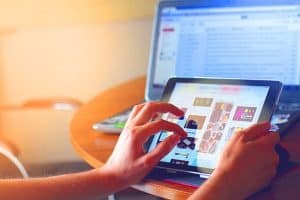 Does your website have a SEO friendly design? Are titles and descriptions on your site’s web pages properly optimized for target keywords? 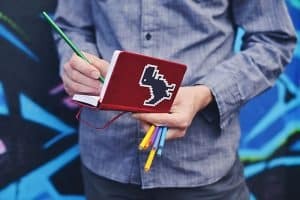 Is your site’s content unique? Do site’s pages have any broken links? Check your site for all possible SEO issues and do all the necessary fixings as soon as possible! If you don’t know the answers to these questions, click here to get a free SEO audit. The statistics shows that mobile Internet usage has already surpassed desktop usage. Obviously, more and more people choose to browse the web on their mobile devices. All of this means that your website must have a mobile friendly design. Otherwise, your business will not receive high amount of potential clients. It’s a great idea to take advantage of responsive design. If your site is fully responsive, its web pages will look great on all types of desktop and mobile devices. Actually, your website will adjust to any screen sizes automatically. Related: How Does Mobile-First Indexing Affect SEO? Do you find that your website isn’t converting visitors into sales? Traditionally, these kinds of things happen when a website is not user friendly. In this case, you should definitely update your site. Make sure your site has a convenient navigation. So, users will be able to find all the necessary information on your website fast and easy. And of course, this will help you boost your sales and increase your conversions dramatically. It’s important to know that website speed affects conversions. Obviously, none wants to wait too long. So, visitors are likely to leave your website within a few seconds and go to your competitors if they fail to open its pages. On the other hand, slow loading times have a huge negative impact on site’s SEO. And of course, you should do everything you can to prevent these types of problems from happening. Testing website speed is something that needs to be done on a regular basis. Do you find that your site’s pages load slowly? If this is the case, you need to update your site and fix a slow page loading issue as soon as possible. To do a quick check to see how fast your site loads, check out free tools like Pingdom and Google Pagespeed Insights. It’s no surprise that popular social media platforms such as Facebook, Twitter, Google +, Instagram, YouTube and others bring together a lot of people from different parts of the world. People tend to communicate and share interesting content with each other on social media. That’s the reason why social media promotion needs to be a part of your online marketing strategy. It’s important to note that social media advertising has many great benefits. First and foremost, popular social media sites can generate high amount of traffic, potential clients as well as sales to your website. On the other hand, effective social media promotion will contribute greatly to your brand development strategy. That means that the awareness of your brand is likely to increase significantly if you market your business on social media effectively. It’s a great idea to add a blog section to a website and update it with fresh content regularly. However, your site’s visitors will definitely find it hard to share your content on social media if your site is not integrated with social media buttons. Your job is to update your site and add social media buttons to each of its web pages. By doing this, you’ll make it easy for site’s visitors to share your content on social media profiles. Sometimes, the need to expand website’s functionality may arise. For example, you may want to add a shopping functionality to your site. With this type of functionality, you’ll be able to get payments from customers and start selling your products or services online. Or, maybe, you choose to integrate your website with the most up-to-date billing and CRM systems. You can also change your website content management system. This will allow you to make your site easy to use. One way or another, you’ll have to update your website to improve its functionality. Do you find that your website needs to be updated? If so, contact us right away! We have huge experience in web design and development, SEO, online marketing, etc. Our experts are looking forward to helping you with any of your business site’s needs!